The finite width of histogram bins will always be taken into account precisely. Need a lineshape? Skewed Gaussian? 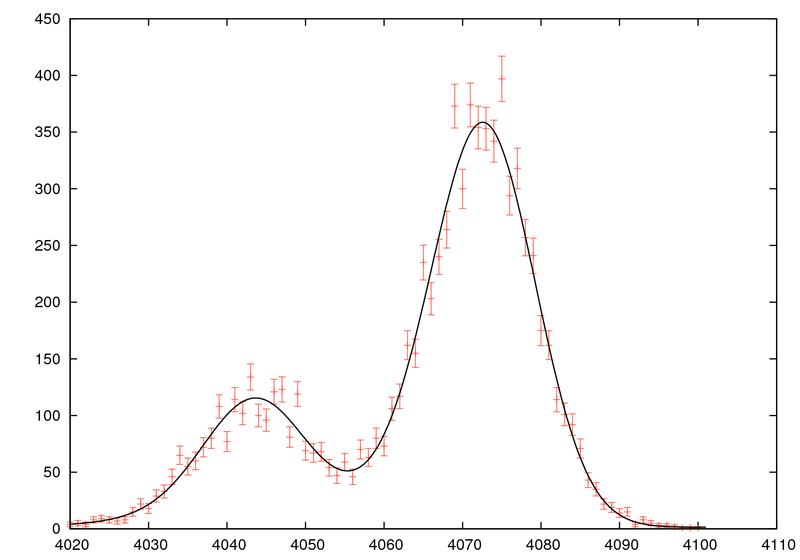 Skewed Gaussian with a low-energy shoulder to account for Compton scattering? You want it, you got it. Regardless of shape, peaks will be properly normalized forevermore. Need to calibrate energy? Fix relative intensities and fit centroids. Need to calibrate efficiency? Fix centroids and fit relative intensities. Need to calculate the errors on the fit parameters, including correlations, precisely? No problem!